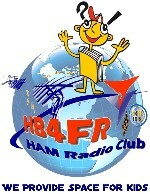 The Hallicrafters Company of Chicago, Illinois, was one of the « Big Three » manufacturers of shortwave and amateur radio equipment (National Radio Company and Hammarlund for the other two). From the early 1930s until the 1970s, the name Hallicrafters was the benchmark for some of the best communications equipment available. It was on December 31, 1932, on New Year's Eve, that William J. Halligan « Bill », then 34 years old, decided to set up his own business for the construction of quality electronic equipment at affordable prices the Hallicrafters Inc. It will soon become the factory of the Hallicrafters Company in Chicago. The company name of the company is a combination of Halli (gan) and (hand) crafters. Bill Halligan, a native of Boston, Massachusetts, was by no means a neophyte in the field of communications. From a young age, he was an experienced telegrapher. At the age of 18, he became chief radio operator in the American Navy in the last days of the First World War. In 1923, after being a telegraph operator for the Marconi Company and then a student at the engineering school of Tufts University in Massachusetts and the West Point military school, Bill was already a sales manager for the Tobe Deutschmann company. This company imported radio spare parts that Bill sold in his store in Boston who is still a well known name today: « Radio Shack ». During the same period, Bill wrote regularly in the newspaper « Boston Telegram » a section entitled « Radio Waves »; it was a summary of what was happening in the new world of radio, a first journalistic for the time. The beginnings were difficult; firstly, walking out of the recession and, secondly, because of essential patents needed for the construction of the proposed devices. These patents were mostly owned by the Radio Corporation of America "RCA", a large and powerful organization. To fill this gap, Bill contracted, among others, the services of the firm Silver-Marshall for the construction of its first equipments. Then he bought the firm Echophone, which, although in financial difficulties, possessed the coveted license. 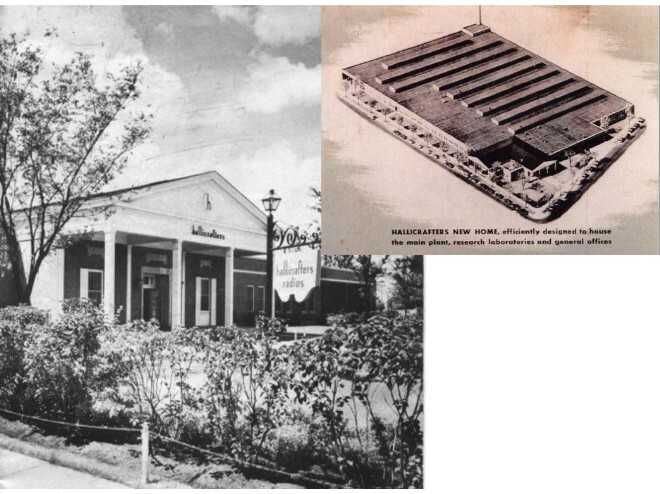 As early as 1936, the company Hallicrafters moved into the new factory in Chicago and inaugurated its own production with the SUPER SKYRIDER model SX-9 manufactured in large quantities. This model had already been the subject of a major advertising hype the year before. It was preceded by several devices such as the 5T Sky Buddy and the first models to bear the name of SKYRIDER named after the transporter bridge (aerial tramway) that made the tour of the World's Fair of 1933 in Chicago and which had impressed Bill. The name SKYRIDER will become famous. In 1966 the Halligan family sold the Hallicrafters to the Northrop Corporation. In 1975, the Corporation of Arlington, Texas, acquired the Hallicrafters division of Wilcox and, with this final transaction, the proud 42-year name disappeared forever. Our member Max de Henseler, HB9RS, made a timeline of the production of Hallicrafters equipment. Click on the scrolling strip to display it, zoom in to enlarge it.